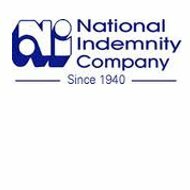 A review of the Finial Health Insurance Company determined that Finial Reinsurance Company is a division of National Indemnity Insurance Company. This business is formally Converium Holdings (North America, Inc), which was established in 1995. In 2008, the company was purchased by National Indemnity Insurance Company or NICO, a Berkshire Hathaway company, and renamed Finial Reinsurance Company. You can get online health insurance rates within a matter of minutes with just your zip code here! Finial services include property and casualty, worker’s compensation, excess loss, and other lines required by commercial business owners. Finial’s headquarters is in New York, NY, with offices in Connecticut. NICO has an A++ (Superior) rating with A.M. Best, the insurance industry’s most recognized rating company. Standard and Poor’s classifies Finial Reinsurance Company as stable, and gives it an AA+. This rating is based on its parent company, NICO. The position this company takes in the industry establishes some financial credibility since a reinsurance company actually supports and serves as a carrier for other insurance companies. A reinsurance company also insures self-insured businesses that pool their own money for healthcare. This is the alternative to purchasing health insurance directly from a carrier. Worker’s compensation is mandatory for all businesses that have more than the state minimum of four to five employees. When a company’s insurance coverage reaches its maximum per person or incident, a reinsurance company steps in to absorb the excess. This is recognized as excess loss protection or stop loss. It also serves as the businesses protection from financial collapse. Finial healthcare plans are designated for company employees, to include Finial employees. The company only offers property and casualty, liability and its other products directly to the public; however when there is an accident involving Finial policyholders, its healthcare partners become involved as part of the same network of providers. Most policyholders and their employees use Finial’s healthcare network through worker’s compensation. Worker’s compensation through Finial’s healthcare network requires that the employee take certain steps to navigate through the system. First depending on the severity of the incident, call 911. Go to an immediate care facility designated by Finial. If a hospital stay is required, have a family member or friend follow up with your employer. Follow home care instructions for 100% recovery. Return to work only with a doctor’s medical release. Your supervisor will have a set of instructions to follow after an incident. They will notify the insurance company or their supervisor for a claims report and filing. If there is any long-term care, Finial’s plans may offer this option as well. Most insurance companies have the option of offering their healthcare plans through an HMO or PPO. An HMO is a health maintenance organization whereas a PPO is a preferred provider organization. One has more flexibility than the other has although, with more flexibility comes more out of pocket expense. With a PPO, you get to choose your provider from a larger network or choices. You are also able to purchase supplement plans that include discount dental or vision services. An HMO has more bundled services offered at the usual customary allowance by providers. If you have ever considered a career with Finial Reinsurance Company or NICO for that matter, you can go to the company’s website and click on the career tab where you will be asked to establish an account. Establishing an account allows you to check the status of your resume or apply for future positions. If you have a degree in any of the following areas, you may be a perfect fit for the company. IT specialists, actuaries, underwriters, customer services representatives, and other entry and mid-level professionals also have a place with this company. Finial Reinsurance company has five complaints registered with the Better Business Bureau. These complaints are related to product satisfaction and two related to service. Other reviews that relate to the company involve court cases. One of the cases related to NICO as a company and the other was a case where Converium won against Princeton Insurance Company in a worker’s compensation case. Since this company does not sell products directly to the public, there are not any individual comments. Finial Reinsurance does not have a company website. To get more information, you must go to the parent company’s website. To get health insurance quotes for your business today, enter your zip code here and you will be directed providers in your area.